FILCON provides slitting, winding, packaging and distribution of films for various uses. Primary applications are for food wraps both in commercial/industrial applications as well as for the household. FILCON has contracted with the Dow Chemical Company to serve as its slitter and distributor for a variety of films including: KREHALON™ and SARANEX™ films. KREHALON™ film is a monolayer oriented PVDC film that provides the unique combined oxygen and moisture barrier properties. These films are optically clear and high gloss, making an attractive see-through package. 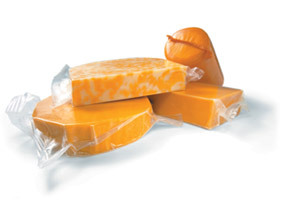 SARANEX™ films are multi-layer co-extruded heat sealable films containing a barrier layer of PVDC resin, and provide excellent resistance to the permeation of oxygen and moisture vapor, as well as a variety of flavors and aromas. SARANEX™ is available in a number of thickness' and configurations. FILCON also offers contract slitting and winding of films and foils. FILCON can package any form of goods into cartons and cases for all your packaging and distributing needs.